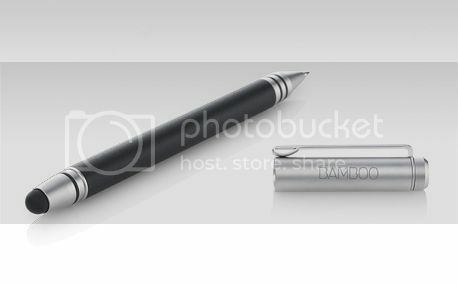 The Wacom Bamboo Stylus Duo works as a digital stylus for both the Apple iPad (and other mobile devices) and a traditional ink pen tip. 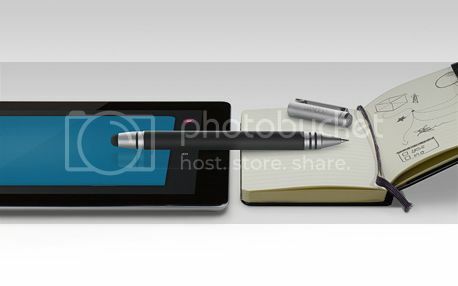 It's an all-in-one stylus that let's you draw on your iPad and even write on paper. The ink cartridge uses standard refills the same way as regular ballpoint pens. The pen’s cap can be attached to either end. Bamboo Stylus duo is perfect when you want to carry only one writing instrument. The stylus features the same responsive, smooth pen nib as Bamboo Stylus solo, for the best possible pen-on-screen feeling on your mobile device. I don't currently own one, but would love to try it out when I get my hands on one.